I read this article and found it very interesting, thought it might be something for you. 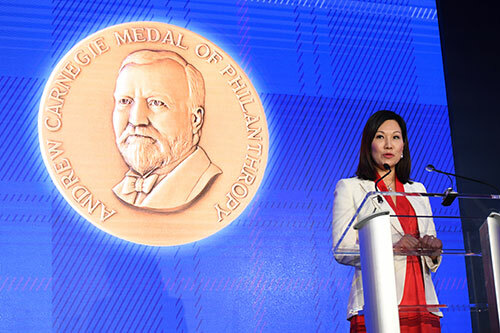 The article is called Chak, Mei Hing and is located at https://www.medalofphilanthropy.org/chak-mei-hing/. 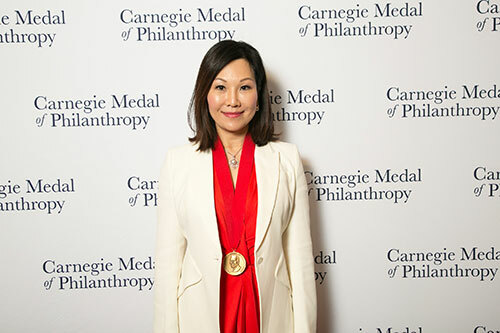 Mei Hing Chak is a self-made businesswoman whose extraordinary accomplishments—in both commerce and philanthropy—in many ways mirror those of storied industrialist and philanthropist Andrew Carnegie. Born and raised in southern China’s Guangdong province, Ms. Chak grew up in a humble household in one of the country’s more prosperous regions. Eager to begin a professional life following high school, she used a small loan from her mother to launch a modest garment business. While not highly successful, the business provided a valuable opportunity to gain expertise, and the experience caused her to set her sights firmly on a different field—the furniture industry. Ms. Chak’s remarkable dedication to her business persuaded her to forego the comforts of an apartment and, like many of her workers, she lived in the factory in order to save money. Her efforts paid off as her original concept gradually expanded into the largest furniture logistics enterprise in China at that time. Furthermore, she devised a new business model, augmenting the company’s exponential growth. This led her to found the extremely successful Heungkong Group, a conglomerate specializing in furniture retail and logistics, commercial circulation, finance, natural resources and energy, education, healthcare, and property management. 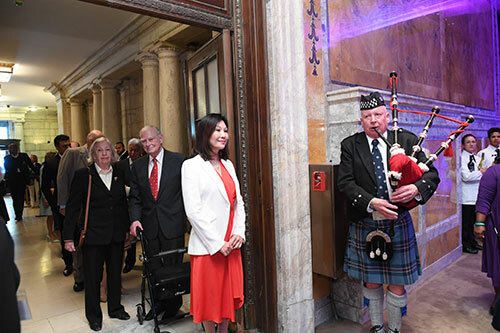 Having achieved tremendous success in business, Ms. Chak turned her attention toward an even greater calling—philanthropy. In 2005 China’s Ministry of Civil Affairs approved the formation of the country’s first nonpublic philanthropic organization. Conceived and spearheaded by Ms. Chak, the Heungkong Charitable Foundation concentrates primarily on education, poverty alleviation, rescue, and disaster relief. To date, the foundation has served over two million needy people, funded 1,500 libraries, sent books to over a million students, given loans to women in rural areas, and provided assistance to more than 80,000 disabled children and elderly citizens. In the midst of these efforts, Ms. Chak returned to school and received a master’s degree in management from Tulane University. Her remarkable story has been featured on the BBC (“Zhai Meiqing at the Forefront of Chinese Philanthropy”) and in Forbes Asia (“In Asia, 40 Heroes of Philanthropy Are Making Their Mark”). Ms. Chak’s desire to help uplift the people of China was a significant source of inspiration for her successes in business. The Carnegie family of institutions applauds her selfless generosity and tireless campaign of giving. 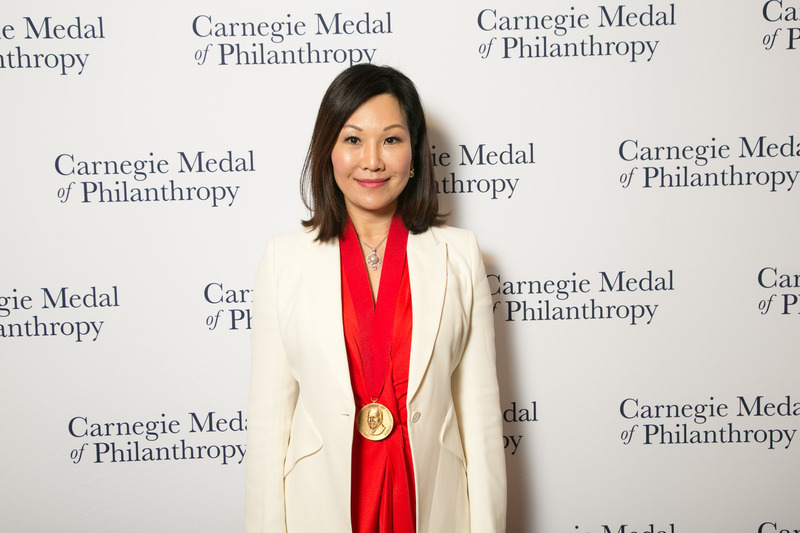 We believe that Andrew Carnegie would extol the example she has set for a new generation of philanthropists in China, and we are privileged to welcome Mei Hing Chak as a recipient of the Carnegie Medal of Philanthropy.